I first connected with Shawn Callahan on LinkedIn a number of years ago and was immediately drawn to his storytelling style and his theories about what makes business storytelling tick. I also liked the fact that, whereas I came to storytelling through my background as a writer, Shawn took a much more lateral pathway via corporate anthropology and has grown a worldwide business in an area that was so uncool for such a long time. 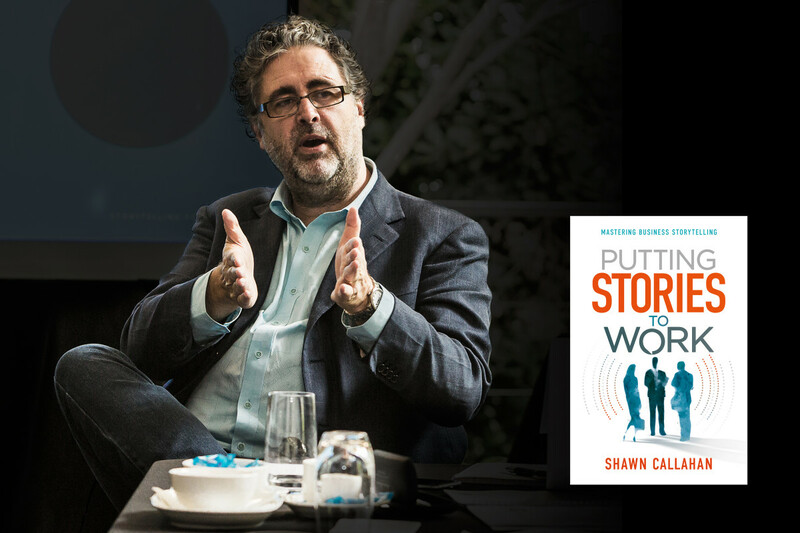 In his new book Putting Stories to Work, Shawn Callahan reminds us that sharing stories is something each of us does naturally every day and that it’s one of the most powerful tools for getting things done. A few weeks out from launch, I took the opportunity to ask him more about the business of storytelling and the storytelling of business. Mark: So, how many stories do you tell a year as a company? Shawn: I guess we tell and retell hundreds, maybe thousands, of stories. But most are very small – anecdotes, hence the name of our company. Mark: One for the sceptics. Do stories really work in business? What’s the story with stories? Shawn: I see examples of storytelling working almost every day. Here’s an example from yesterday. I was talking to a senior executive at a supermarket chain in Europe, and she said that she and her colleagues had gone to give a presentation to the people they work with in the utter belief that the presentation would go the same way as all the other presentations they had given. But then the Head of HR overheard a couple of the audience before the session bemoan that fact that they had to go through these boring talks. So with that spark he suggested that instead of just giving the presentation, they should tell a series of stories, and feeling like they had nothing to lose, they did. And when they did, their stories inspired others in the room to tell their stories, and in the end, the briefing they had all approached with such reluctance had been one of the best story-sharing events they had ever participated in. Our client couldn’t believe what an extraordinary difference telling little stories had made to what would otherwise have been a very disheartening day. In the book I talk about the keynote speaker Adam Fraser who I’ve personally counted fit 23 stories into a 45 minute presentation. He had the audience enwrapped. So none of the stories were long or elaborate. They couldn’t be in that timeframe. But what they did was they involved people. They helped them listen. Mark: I’m intrigued by this concept of little stories. You refer to it in your book as the difference between little s and Big S storytelling. What is that difference? Shawn: Businesses are often led to believe that storytelling has to be big, that it must take in epic adventures, the Hero’s Journey and so on. One of our great learnings over the years has been that the stories don’t have to be that big because when a business is sharing stories with itself, for instance, there’s no need to tell the full story. Everyone knows who the CEO is, etc … So stories can be reduced to the bits that are super-meaningful. Those situations come with so many background stories already built in – what Umberto Eco refers to as the “background books” – so there’s a great deal that doesn’t need to be explained. Small stories work because they are real and they come from real life; they don’t feel over-crafted. They are rough-cut little pieces that work for the people who hear them. Stories work when they are invisible – when we don’t need to see the workings because there’s enough of the story that we know or that feels familiar. Let me give an example. When Marco Polo was headed for China, he was asked by the Italian authorities to find a unicorn and to bring it back with him. In China, Marco Polo searches high and low for the legendary creature and, magically, he finds one and he brings it back to Italy. Only, the unicorn was not quite as he imagined. It had course skin. And it didn’t look like a horse. And it’s horn was short and tough. It was, in fact, a rhinoceros. Now that story works because we all know about Marco Polo’s journey to China, we’ve all been told about unicorns and many of us have seen a rhinoceros. What we haven’t heard before is a story that combines the elements together. Those are the invisible elements that hold the story together for us. Stories fail when they try too hard. Dramatists want to tell big stories, fantastic stories – but the performing of the story hurts its authenticity. Anthropologists on the other hand look for small stories that make an impact. And the interesting thing here is that bigger stories almost always emerge from the smaller stories. They bubble up to form stories that are much bigger than they first appear. Mark: In the book, you also tell the story of President Ulysses Grant in the lobby of the Willard Hotel and how the collection of people waiting to meet with him led to the coining of the phrase of “lobbyists”. Except it didn’t. The phrase actually derives from somewhere completely different. Nevertheless, the myth has lasted all this time, I suspect because it’s one that people like to keep telling. What’s the difference between a story, a myth, a fable and a parable? Shawn: A fable and a parable are both untrue stories that are told to convey a lesson. A fable involves animals or natural processes such as air or water. A parable is about people and is an instrument to provide a bigger message. Myths are important because they provide us with phenomenal insights into culture. Myths are strong stories that assume mythical status, to the point where they are told over and over again, in order to provide important lessons. Most of the work we do is more prosaic than that. 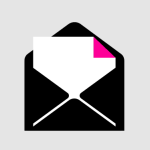 It’s about inspiring actions and explaining strategic choices via stories. To change the culture you need to change the stories the organisation is telling. Flood in new stories. That’s an important point about stories. They flow. They seep through the ecosystem. Stories are the pixels of a brand image. As for the role of story in brand, experiences are stories and brands are representations of the stories that are told. Experiences translated into stories provide the ability to make decisions and for people to take actions. There’s no such thing as a brand story – because if you think about it, it’s not one thing. Instead, if you’re a big brand, there are many millions of stories that come together to form the impression of a brand. Stories are the pixels of a brand image. They make it sharp or if they are bad stories they pull it out of focus. Each pixel is one story. Brand storytelling is the pixelation of so many people’s experiences. Mark: The other phrase people use, and I have to say it’s one I use myself, is narrative. Is there a difference between story and narrative in your view? Shawn: Narrative is different from story only in as much as it should be narrated. It still needs a story structure. Some organisations prefer to use the word instead of story because they think that stories are made up and not serious and that narratives are, somehow, more grown up. Mark: When I’ve been doing work in brand culture change, storytelling is something that comes up as a lot as a sharing mechanism that is sadly lacking. Senior management will tell you they want to celebrate achievements and recognise performance and yet the success stories that do that, while there are plenty of them, are not collated or stored at all. Why are organisations so bad at collecting and telling their stories? Shawn: Organisations worry about capturing and telling stories because, consciously or not, they treat them as proof and they want them to be perfect. Organisations often lack the confidence to be anything less than perfect. They fear being seen as fallible, even amongst themselves. The writer John Callahan (no relation) once said that stories are the best combination of people, place and trouble. The thing is of course that organisations don’t want trouble; they don’t want to talk about it, celebrate it, highlight it or get into it. And the trouble with no trouble of course is that conflict is interesting. It’s what brings a story alive. Without conflict, you don’t have a story – you have content or a press release. Our principle therefore is to keep stories in an oral form for as long as possible in order to preserve their purity. That’s how you keep the roughness and the trouble in the story. While people are telling each other the story, those elements stay. As soon as the story is written down, they are censored out and the story loses its authenticity. That’s why we like capturing stories in oral forms like podcasting and rough-form video. It prevents the whitewashing. The point of telling stories for a business is make a point, but some mistakenly think that should be constrained to an identified commercial outcome. But as our friends at the supermarket chain in Europe discovered, when you encourage people to tell stories, there is so much more appreciation for what is being shared. And that’s because there is a community connection that makes the story feel so much bigger. When people share stories towards a common outcome, things happen at multiple scales. Mark: My experience in too many years of interviewing is that it’s one thing to ask people to share their story and quite another to get them to tell you a fascinating story. Your favourite question for eliciting stories is “What happened?” Is it powerful because it’s an invitation or permission? Shawn: ‘What happened?’ works as a question because when you’re collecting stories, the people you’re asking to tell their stories don’t know whether you really care. So their first telling is tentative. They need to see you show interest. When they start a story and you ask “So what happened?”, they are relieved. They feel they have the permission to tell you more. So “What happened?” functions as both an invitation and permission. It forms a bond because the question is also non-judgmental. The neutral enquiry encourages them to provide a true representation of their impressions via story. Mark: Who are the worst storytellers, and why? Can you give an example of when an organisation told a bad story, and what happened when they did? Shawn: Bad storytellers are people who want to pontificate. I once did some work for a law firm and they pulled all their people together and the Managing Partner got up in front of all the employees to announce a big change. He told a story about a mythical Greek character and how he was depicted in Renaissance art. The story was intricate and detailed but it was also flamboyant and to the audience it came across as the Managing Partner showing off. People didn’t relate to it at all. They couldn’t see what a mythical Greek character had to do with their situation and most of them did not share the Managing Partner’s enthusiasm for classicism. So he told a story but he utterly missed the mark. Bad storytellers don’t tell a relatable story with a clear point. Mark: I was intrigued by your observation that when Stanley Milgram ran his famous experiments around 6 degrees of separation and looked at how messages are passed from one person to another, only rarely did a message make it through to the 6th degree. Now that we have Facebook saying that the degrees of separation have reportedly halved to just 3 point-something, are we better or worse as storytellers and story listeners? How has social media changed the stories we understand and the stories we make time for? Shawn: There’s no doubt that social media has left us snacking on smaller and smaller stories as the 6 degrees of separation have shrunk. Interestingly, the characteristics of the stories that are being told are the same characteristics that we have always used to make a story worth retelling – they are still about knowing first, about information that people can use in the future, about things that people can pass on. So pop culture is well connected, literally, with storytelling in that sense. And here’s another intriguing thing. Facebook has increased the amount of storytelling, but the triggers for those stories are still things that happen in the physical world. We may live in a world that is highly digital but as people, we’re still interested in people. And people are at the centre of most powerful storytelling. Mark: One of the things global brands struggle with is that increasingly they can’t be the same brand in every part of the world. They need to adapt to the local environment. Is the same true for stories? Can you tell the same story all over the world, or must that story change? Shawn: If you’re telling a strategic story, we find that the best approach is to tell the bare bones of the story to give the story structure clarity. If that story is intended for a global audience, then let people across the various regions fill in the story with their own anecdotes. That way the story becomes theirs. And the anecdotes that they do that with will be very different. For example, when the salesforce for Intercontinental Hotels responsible for Asia and North Africa found they couldn’t articulate the story of the brand, they asked teams across the many cultures to find specific stories to reinforce the brand. These sales teams were selling the InterContinental franchise to hotel owners. They wanted those owners to choose them and not, say, Hilton. Very different stories emerged to bring that alive. In United Arab Emirates, a regional story was about a sheik taking his son to the hotel and the boy having such a great time that when it came time for him to buy his own hotel, he insisted on Intercontinental because that was the hotel brand he has such fond memories of. In India, the stories were different. They were about things like the power of the Intercontinental brand name to make and save money. There, sales people were told the story of a hotel that was failing, with just 30 – 40% occupancy, until Intercontinental came in and suggested the hotel become part of the franchise. In fact, the sales people told the owners you won’t even need to advertise, such is the power of our brand, so they would save huge amounts of money that would help justify the franchise fees. That’s exactly what happened. When the hotel changed over, the hotel’s occupancy rocketed to 80% in just a short time and the hotel was saved. The same brand, the same values proposition – but backed by very different stories. Shawn Callahan is the founder of Anecdote, the world’s largest business storytelling company, helping leaders and sellers around the world to find and tell oral stories with impact. Shawn is a sought-after keynote speaker, international business consultant and executive coach who works with global organisations such as Mars, Danone, Allianz, SAP, Tesco and Shell. His new book Putting Stories to Work: Mastering Business Storytelling is a highly practical guide for business leaders looking to develop their skills as business storytellers. You can buy Putting Stories to Work: Mastering Business Storytelling from here (no affiliate link).